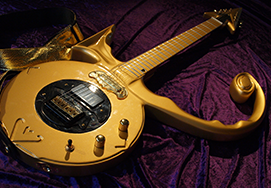 The Prince C-model guitar is added to the collection. The Prince MadCat H.S. 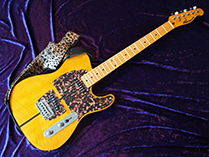 Anderson Telecaster is added to the collection. 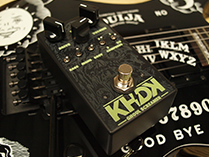 Both the LTD KH-602 OUIJA Guitar and the KHDK Ghoul Screamer are added to the collection. Some video’s will be added soon, plus a KHDK Dark Blood video. When you are a Metallica fan, you should check out those pedals,...and if you can.....get this guitar. This is a new video I made for “de Keuringsdienst van Snaren”. It’s about the KHDK Electronics guitar Padels from Metallica guitarist Kirk Hammett! This this out,....I hope you like it. 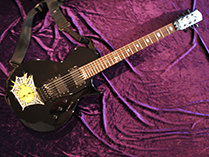 An new guitar is added to the collection, a LTD Kirk Hammett Spider Skull. Planning to do some new tutorials and demostations with this guitar. 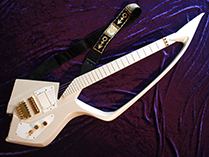 I started to build this guitar in july 2012 and a few years later in Aug 2014 I found the time to finish the Prince Symbol Guitar. My goal was to get as close as possible to the original Prince symbol guitar with all the new guitar luthier techniques I have learned over the last couple of years. And I believe it really paid off. 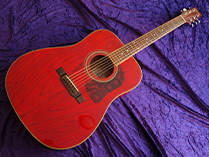 The Washburn D11 TR Cherry Red acoustic guitar is added in the guitar collection. It’s my 7th in line of the Washburn familie. You will see me play this in the new ghostonastring acoustic guitar tutorials. At the moment I am working on the scripts for those recordings. IF you have any song request, just let me know.